The first peak on the northern side of Coomloughra. 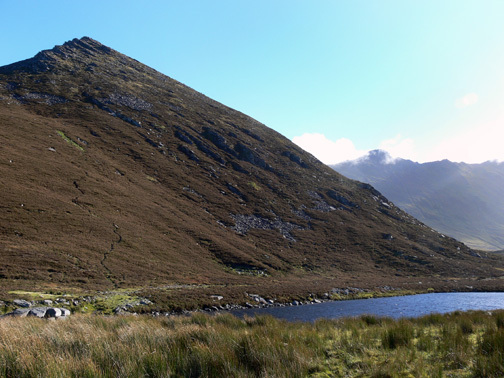 Cnoc Íochtair is the 79th highest place in Ireland. Picture from group : View NE to Cnoc Iochtair from Loch Iochtair. Picture: View NE to Cnoc Iochtair from Loch Iochtair. A route to greater and better things !